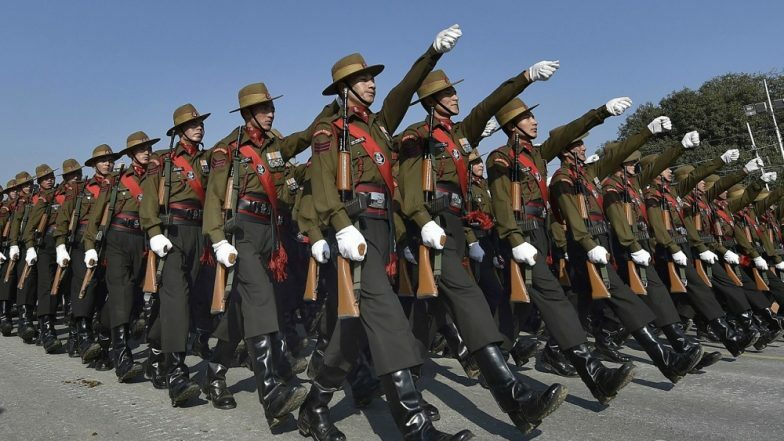 Itanagar, April 11: On the eve of the first phase of Lok Sabha elections 2019 on Wednesday, Indian Army personnel deployed in remote locations in eastern Arunachal Pradesh, Assam, Nagaland, Manipur, Mizoram and Tripura, along China and Myanmar border, cast their votes by postal ballot. The troops were first registered as service voters online, and Electronically Transmitted Postal Ballot (ETBP) was generated for each service voter. Lok Sabha Elections 2019 Schedule: Voting In 7 Phases From April 11 to May 19, Counting And Results On May 23; Check All Dates For General Elections. The votes were cast under the supervision of a board of officers. The process of casting votes was conducted after overcoming various digital challenges. An awareness campaign for the soldiers was also conducted. The polling for other phases will also be carried out in a similar way once Election Commission uploads ETBPs. Nizamabad Lok Sabha Seat May Enter Guinness Book of World Record For Using Highest Number of EVMs. Defence personnel serving in remote areas can vote through postal ballots and proxy voting. In postal ballots, a voter exercises his/her franchise through a post while in proxy voting, a person can authorise another residing in the same polling booth area to cast a vote on his/her behalf. Currently, the option is available for wives of the defence and police personnel serving outside India. The first phase of Lok Sabha elections took place on April 11. A total of 91 Lok Sabha seats, across 20 states are being contested in the first phase. The results for 2019 Lok Sabha elections will be announced on May 23. Along with Lok Sabha Elections, voting will also take place in this phase for Andhra Pradesh, Arunachal Pradesh, Sikkim and Odisha Assembly Elections 2019.